ProLine AIO - Datum ClearMind s.b. Cannot attend to customer complain or enquiry immediately by digging hard copy file!? 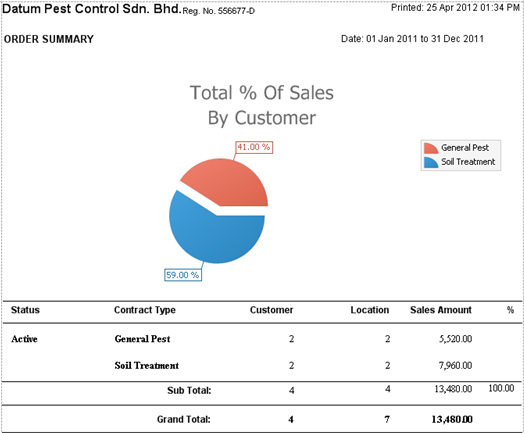 Spend day and night to compile Sales report, OT report….!? Want to have better control for your your bread and butter!? , a specialized and proven system for servicing Industry. 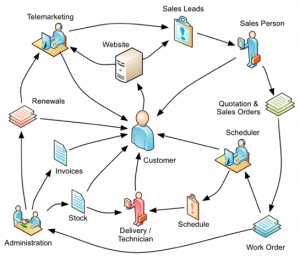 As service provider, what makes you the preferred choice of your customer? You make the right choice to be here. 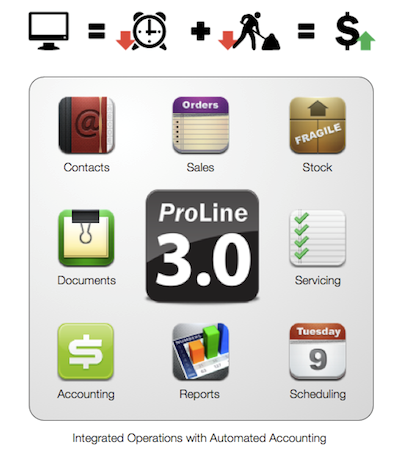 Service Contracts is a key component of servicing industry; with ProLine you can manage them with ease, and not forgetting the contracts renewal. Job scheduling, it is all about ensuring your technicians are in the right place, at the right time, with the right information, and that customer expectations are exceeded. We work together with our client since year 2000 side by side to create the service management software, helping service companies to achieve excellence! 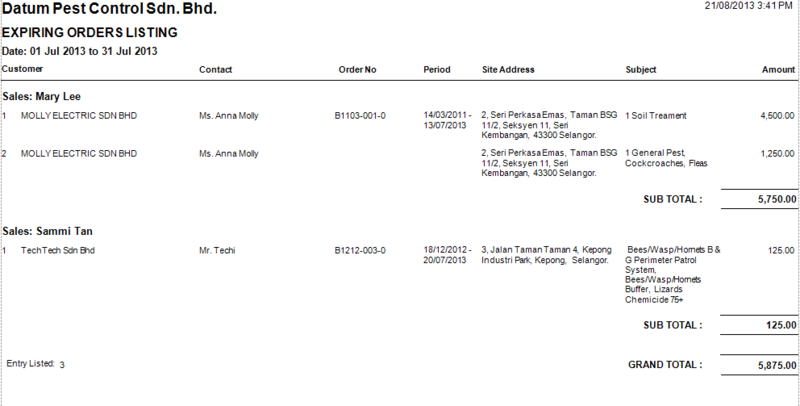 Order Keep track of adhoc order and contract (pricing, package, single or multiple service locations, service frequency). Contract renewal Generate renewal notices for expiring contracts and create renewed sales order with a few mouse clicks. 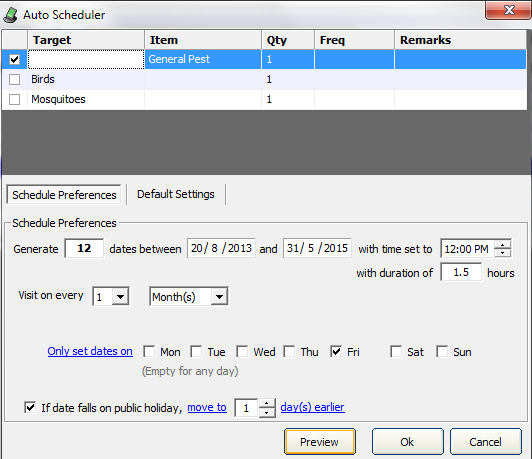 Service schedule Pre-arrange all work plans for each sales order automatically with theAuto-Scheduler. 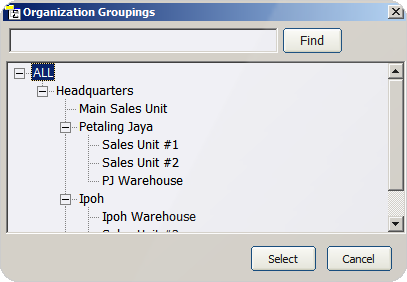 Keep track of due jobs, missed jobs and re-schedule jobs to service teams accordingly. Customer History Trace all the service history with a few mouse clicks. Warranty Receive e-mail reminder for all the upcoming warranty due from a generated report. 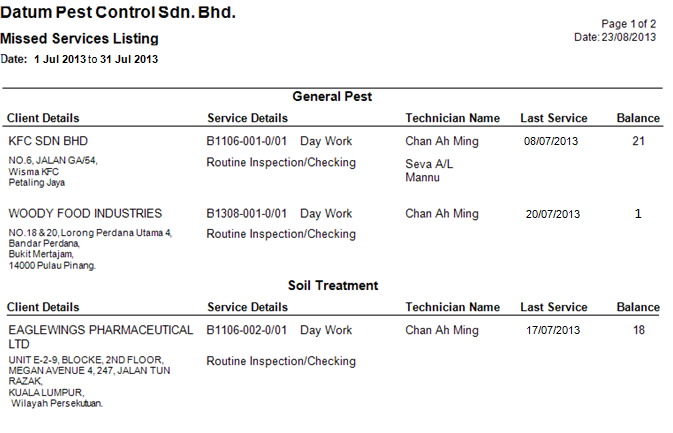 Maintenance Contract Pre-arrange all maintenance schedule. 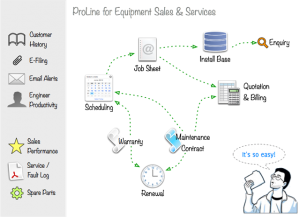 Keep track of due jobs, missed jobs and re-schedule jobs to service teams accordingly. 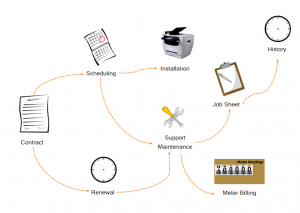 Meter Billing ProLine remember the previous meter reading thus minimizing manual billing work required each month. Contract Based billing Calculation Initial one time set up of different rates and packages for different customers. 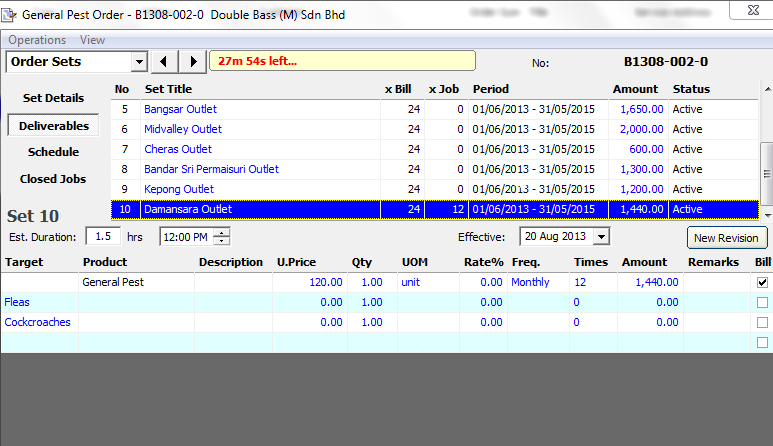 Sales Order Keep track every sales or rental package, machine location & details.